On the occasion of the opening of EL ANATSUI's exhibition Meyina, Iziko South African National Gallery in partnership with the Friends of the South African National Gallery and the Goodman Gallery are pleased to host exhibition curator Bisi Silva in conversation with art critic Sean O’Toole. They will discuss Silva’s long-term association with the artist, the current exhibition, and also Silva’s experience as an art curator in contemporary art from West Africa and beyond. El Anatsui is one of the most influential contemporary artists. Ghanaian by birth, he lives and works in Nigeria, and his work is exhibited widely internationally, in major collections, museums and biennales, including Venice Biennales 1990 and 2007, the Paris Triennial 2012 and most recently Marrakech Biennale 6: Not New Now, Morocco (2016). He is the recipient of numerous awards including an Honorary Doctorate from the University of Cape Town, the Golden Lion for Lifetime Achievement Award at the 56th International Art Exhibition of the Biennale di Venezia – All the World’s Futures; in 2014, he was made an Honorary Royal Academician and elected into the American Academy of Arts and Sciences. In 2017, he received the prestigious Praemium Imperiale Award for Sculpture. 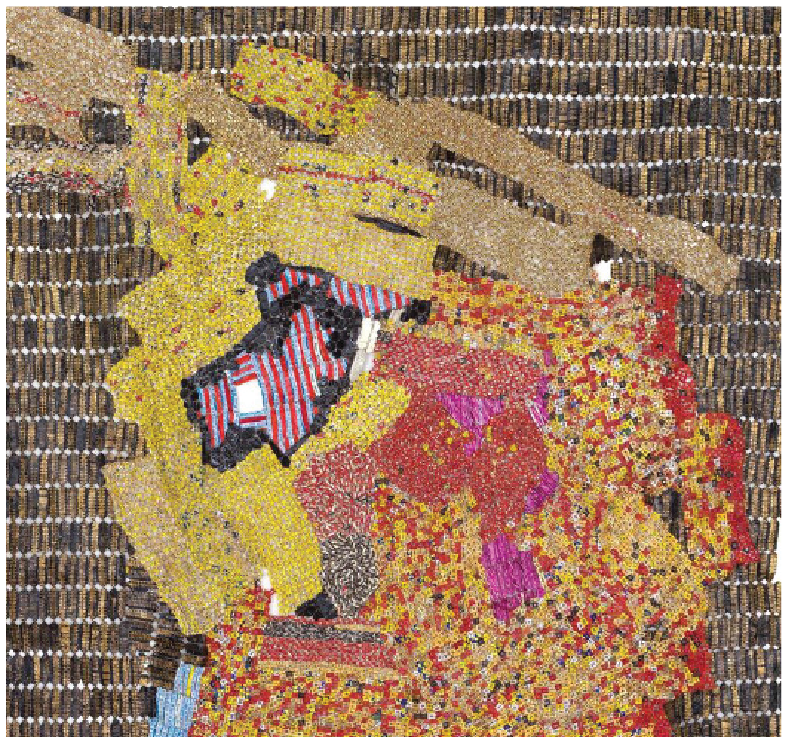 Meyina is Anatsui’s first solo show in South Africa. It opens at Iziko South African National Gallery at 12pm on 17 January 2018 and runs through 29 April 2018. Meyina was first realised at the Prince Claus Gallery in Amsterdam in 2017. BISI SILVA is a contemporary art curator and the curator of Meyina. Meyina includes not only the artist's recent works but also fragments from the artist's personal archival material. The intention is to show the personal thinking of how the artist works, alongside his signature sumptuous sculptural installations made with repurposed bottle caps. Silva is the Director of the Centre for Contemporary Art, Lagos (CCA) where she has also curated many exhibitions including Asiko (2010 - ) the pan-African alternative art school. As an independent curator she has worked on several international exhibitions and biennales including the 10th Bamako Biennale 2015, the 2nd Changjiang International Biennale of Photography, China 2017, and the 7th Dak'Art Biennale, Senegal 2006. SEAN O'TOOLE is a journalist, art critic, editor and published author. His essays, cultural journalism and reviews have appeared in numerous books, newspapers and magazines in South Africa and internationally. He is the founding editor with Tau Tavengwa of CityScapes, a magazine project of the African Centre for Cities at the University of Cape Town, and a past editor of Art South Africa magazine.